North Indian snacks, YUMM Kachoris, slurpy Jalebis & a host of Traditional & Fusion Bengali sweets. Food rules & nothing else does. This is one place I have loved eating at for many years. I specially loved going to the rustic old shop at the crossing of Chetla Road & Chetla Haat Road – No chairs for people to sit, Hardly 4 -5 customers cud enter the shop – rest wud interact with the counter guys & eat standing on the road, interaction was informal & finally an orally calculated payable amount wud be verbally communicated by the server. This time around I saw that have picked up the adjacent property & r converting that to a sit & eat. 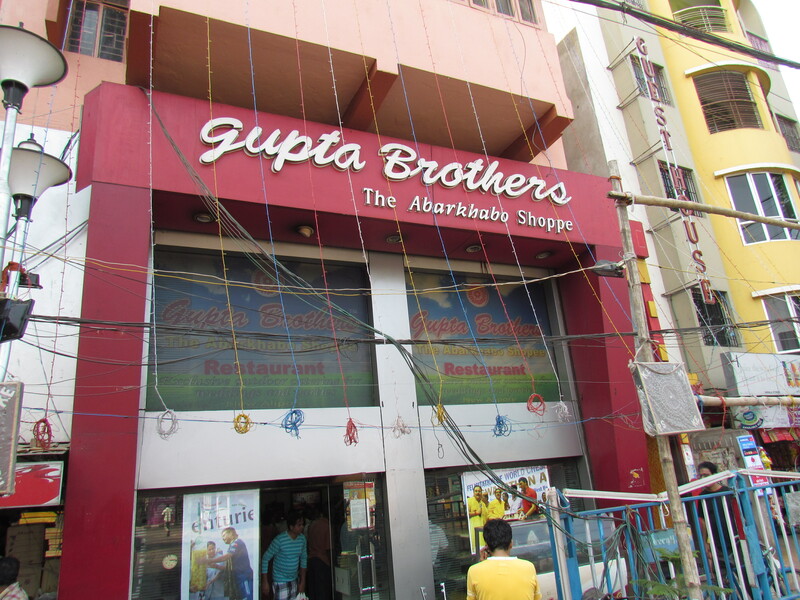 The swankier shop at New Alipore came much later. This one is air conditioned, has ample space inside & still no seating system. There is a separate cash counter & ‘slip / parchi’ system to pay first & get the delivery later. This one is much more impersonal than the original one. Sweets r excellent here. There r traditional Bengali sweets, North Indian Sweets & also fusion sweets like ‘abar khabo’ that this shop is well known for. If u go the first time u can safely ask the guy at the counter for recommendation. North Indian snacks are also available in a good variety – the typical ‘Bhujiawala’ kind of range, with some innovations as well. 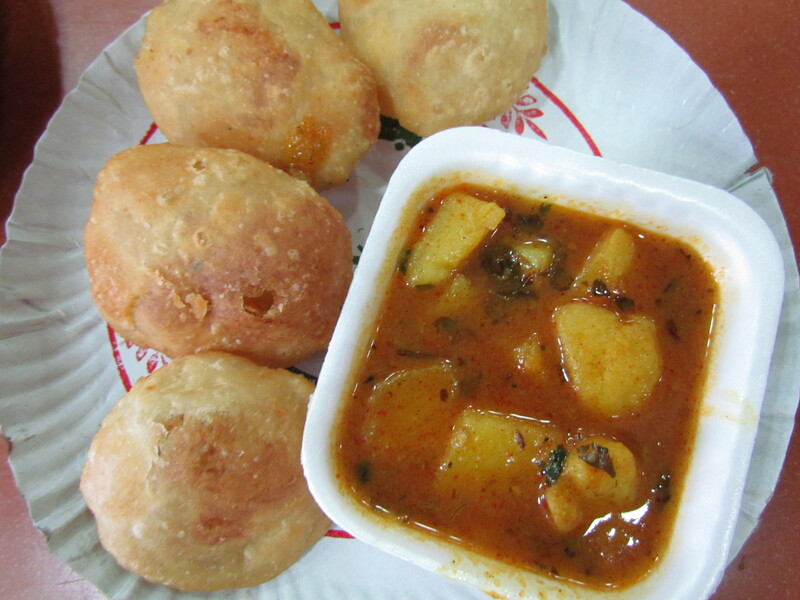 We love the simple kachori subzi that they serve here & do not ever miss it during a trip to Kolkata. 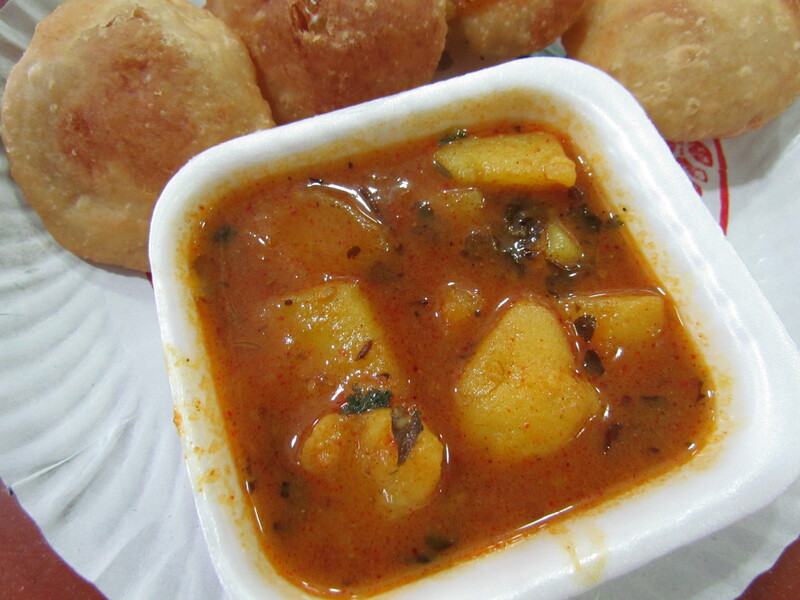 The Kachoris r crispy, full of flavour & excellent to taste, thus making it my second best ‘kachori’ in town. 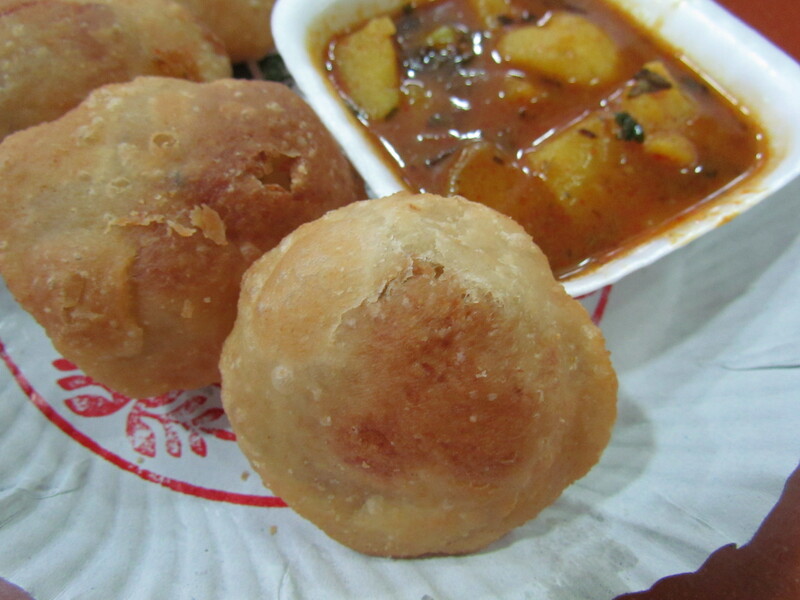 The Kachori at Sharma tea House is probably the best in Kolkata. The subzi is spicy, somewhat rustic, perfect to taste (balance of salt, sweet, sour) & is at least 5 times better than the subzi at Bikanervala / OM sweets / Gulab Sweets Gurgaon. 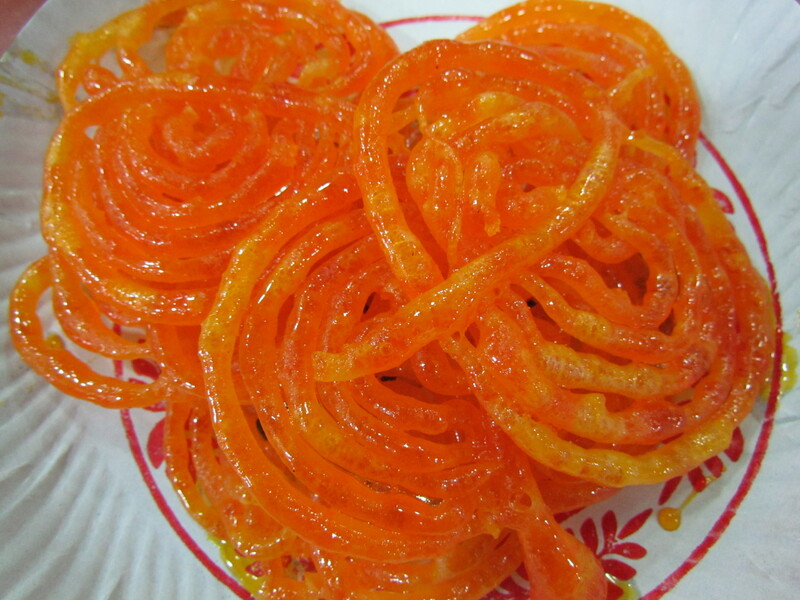 The Jalebis r crispy, slightly sour & very good to taste. Once again the jalebis at Sharma Tea House score over this but on its own the jalebis at Gupta Brothers is thoroughly enjoyable. Try out this shop if u have’nt so far. U will fall in love.